Paul Weller -The Soundtrack Of My Life! – Paul Weller News! 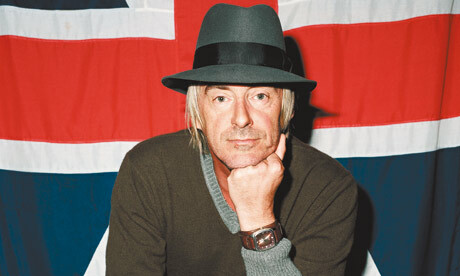 Paul Weller -The Soundtrack Of My Life! This was the first time I had heard music that made me sit up and think, ‘This is something else.’ I was nine, so I didn’t know anything about psychedelic music or acid; it just sounded so different, so otherworldly. From then on, I lived and breathed music. I watched Top of the Pops every week, playing air guitar in front of the TV. I would be on plastic guitar and a mate would be on biscuit tins, drumming. That was it, really. Then my dad bought me a guitar at 12 and at 14 I was playing gigs in working men’s clubs in Woking. At first we only played Beatles covers, Chuck Berry and Little Richard, not only because we loved that kind of music but because the songs only have three chords. The rock’n’roll influence comes through my mum, a big Elvis fan, and then through Dr Feelgood. This album’s menacing, edgy sound was a turning point amid the hangover from the Sixties that went on with Fleetwood Mac and Reo Speedwagon. Wilko Johnson is an English Chuck Berry: he takes English subjects and puts them into an R&B idiom. I was never bothered about making it in America. I wanted to portray my surroundings, and whether that translated on a universal level wasn’t an issue. Odessey and Oracle showed me that you could write from your own perspective. Its sense of melody has been a huge influence, whether that means using mellotrons or certain chord sequences. It’s similar to Nick Drake or Village Green Preservation Society by the Kinks: it did nothing when it came out, and could only have been made in England. It’s autumnal. It’s a choice between this, Innervisions by Stevie Wonder and Curtis Mayfield’s first solo albums: all beautiful soul records that say something. Curtis was a prophet back then, out there on his own, putting humanitarianism and spirituality into black consciousness. But What’s Going On is a symphonic concept album and Marvin Gaye the greatest singer of all time: his range and control over his voice is amazing. He raised the bar for me when I wanted to stretch out musically. Records this good take years to be properly appreciated. I really love this. It has a lot of choral harmonies, almost like church music, combined with Pet Sounds-era Beach Boys, and great melodies. But most important, it sounds fresh. Funnily enough, all the American bands I like are much better known here than they are there. I was in the States recently and was raving about Midlake, Black Mountain, Dr Dog and Fleet Foxes, and nobody had heard of them. Even Kings of Leon aren’t particularly well known. It’s a shame because there’s a lot of good music coming out of America right now. Next Entry Paul Weller In Crawley – 2nd night Set List!